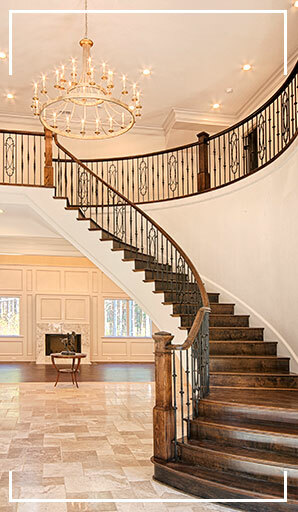 Apex Custom Homes is a Northern Virginia based home builder specializing in the upper end custom market. Along with custom homes, Apex prides itself in wonderful kitchen transformations as well as high end remodeling and additions. A seamless approach in construction management with a relentless pursuit of quality on each and every job. By continuously raising our high standards, our custom satisfaction is unsurpassed. Quite simply, our goal and passion is to build each and every one of our clients homes with the utmost quality and care–on time and within budget. Incorporating over 100 years of combined experience, our team of designers; field supervisors; architects and managers each coordinate to ensure a seamless approach to constructing some of the finest homes in Northern Virginia. The Apex team brings creativity; authenticity and superior craftsmanship to each project. From design through completion, the Apex team delivers outstanding results. As always, we encourage prospective clients to speak with our past clientele to hear firsthand how wonderful their actual building experience was.